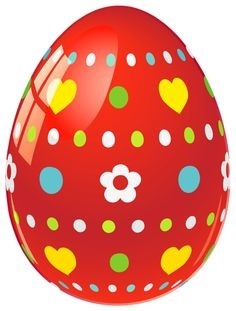 Easter Sunday occurs on 5 April 2015. Easter is a Christian feast and holiday celebrating the resurrection of Jesus Christ on the third day after his crucifixion at Calvary as described in the New Testament. Easter is preceded by Lent, a forty-day period of fasting, prayer, and penance. The last week of Lent is called Holy Week, and it contains the days of the Easter Triduum, including Maundy Thursday, commemorating Maundy and the Last Supper, as well as Good Friday, commemorating the crucifixion and death of Jesus. Easter is followed by a fifty-day period called Eastertide or the Easter Season, ending with Pentecost Sunday. The festival is referred to in English by a variety of different names including Easter Day, Easter Sunday, Resurrection Day and Resurrection Sunday. Saturday 4 April 2015 is Holy Saturday (Latin: Sabbatum Sanctum), it is sometimes known as Easter Eve or Black Saturday, and Is the day after Good Friday and the day before Easter and the last day of Holy Week in which Christians prepare for Easter. It commemorates the day that Jesus Christ’s body laid in the tomb.It is sometimes erroneously referred to as Easter Saturday and Is the religious observance of Christians during the immediate Saturday before Easter Sunday. It is known as the Holy Saturday because it is a part of the Holy week during which the Easter celebrations are being held. It is also known as the Easter Vigil, which is mainly the name given to the Saturday night before the Easter Sunday. The religious belief in Christianity arose from the events and stories in the Bible and other religious literatures. Good Friday, Is the Friday before Easter Sunday which commemorate the crucifixion of Jesus Christ and his death. Good Friday is called so because Christians believe that Jesus sacrificed his life for the benefit of humanity and good of everyone at Calvary. It is observed during Holy Week as part of the Paschal Triduum on the Friday preceding Easter Sunday, and may coincide with the Jewish observance of Passover. It is also known as Black Friday, Holy Friday, Great Friday, or Easter Friday,though the latter normally refers to the Friday in Easter week.